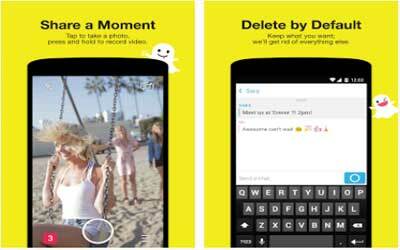 Previous version Snapchat 10.19.5.0 apk for Android will help you to downgrade or install older app easily. This is one of the best Social apps. Curious about something you saw in Snap Map or Stories? Swipe up on any Snap that says “more” to see Context Cards for reviews, hours, ways to get there, and Snaps from that location. Create a Geofilter right on your phone, now available in Canada, Australia, Brazil, Saudi Arabia, UAE, UK, France, Netherlands, Sweden, Norway, Germany, Denmark, Finland, Mexico, Qatar, and Kuwait.